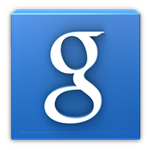 On the official Google... Google+ page, Google announced today that the newest version of Search for Android will now allow you to call or text contacts merely by uttering their relationship to you. For example, saying "call Mom" will now begin a telephone call to whichever contact you've marked as having that relationship to you. 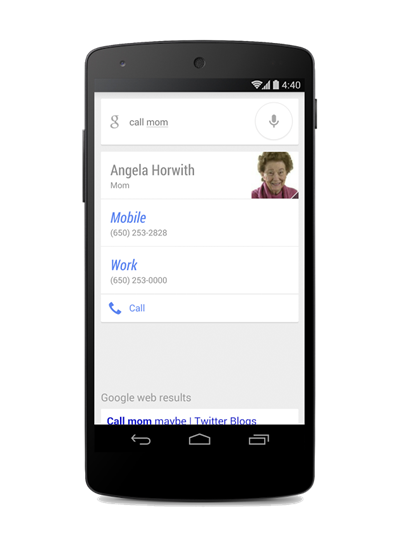 If you've merely put in "Mom" as a contact, Google will just call that. However, if you don't yet have a contact marked, an interface allowing you to select the person you want to associate with that relationship will then appear. Unfortunately, it doesn't seem there's any kind of interface for managing these relationships just yet. So far, the feature supports the standard extended family designations (at least in English, it seems the feature is limited in geographic scope at launch) and relationships - father / dad, mother / mom, brother, sister, cousin, niece, nephew, aunt, uncle, grandmother / grandma, grandfather / grandpa, wife, husband, girlfriend, and boyfriend. There may be more, of course. For those relationships with more than one possible designation, saying either form will complete the action. In-laws and step-relatives don't yet appear to be supported, or cousins three-times removed. The feature shouldn't require any update to the version of Search on your phone - this has been enabled on the backend by Google.